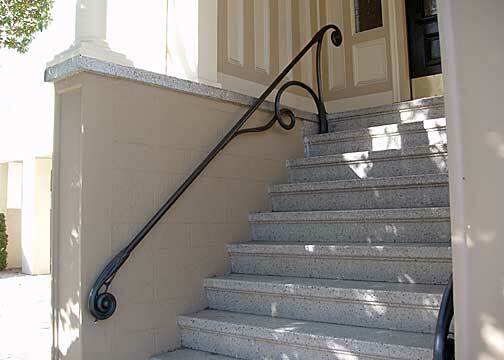 This bronze stair railing was custom created for a Victorian home in San Francisco, CA. 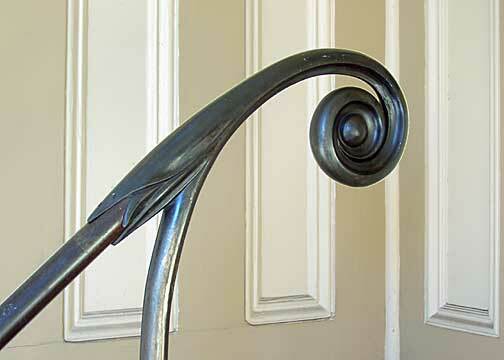 Due to the complexity of it and the limitation at the foundry, it was created, from the start, in specific sections. 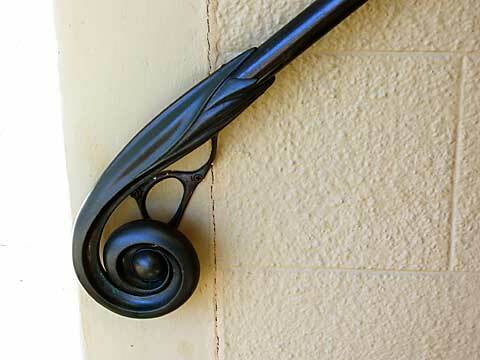 This allows it to be adjusted for any rise and run of any staircase. 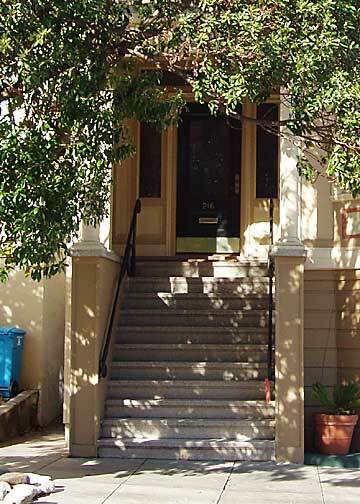 In this project, specifically, the stairs were pretty steep, as you can see in the pictures. 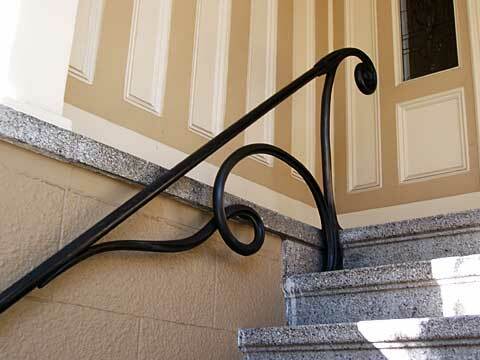 If you would like a railing such as this, please contact me at the addresses below and be ready with information such as total rise and run, if you want both left and right railings or just one, and any specifics you feel may be important. 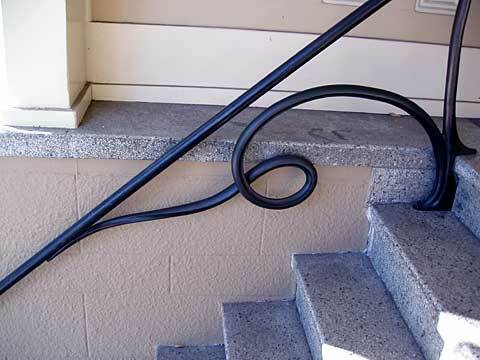 Good pictures of the setting where the railing will go will be helpful. We can take it from there and work out the fine details.